CarFax One Owner! 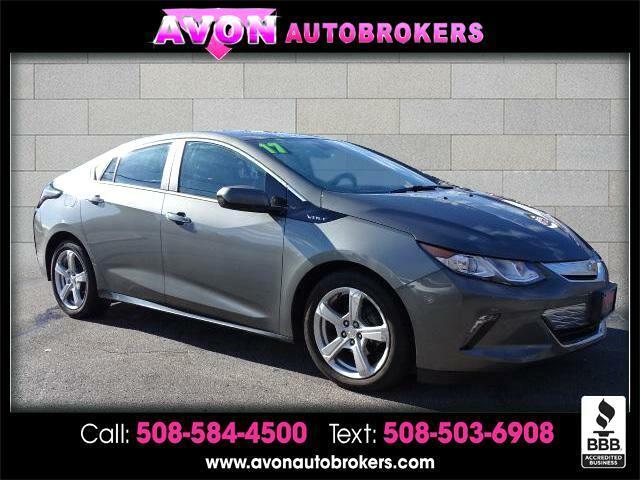 -Priced below the market average!- Back-up Camera, Bluetooth, This 2017 Chevrolet Volt LT, has a great Heather Gray Metallic exterior, and a clean Jet Black/Jet Black interior! Auto Climate Control, Leather Steering Wheel Steering Wheel Controls, AM/FM Radio This Chevrolet Volt gets great fuel economy with over 42.0 MPG on the highway! Park Distance Control ABS Brakes Front Wheel Drive Call to confirm availability and schedule a no-obligation test drive! We are located at 159 Memorial Drive Rt.28, Avon, MA 02322.